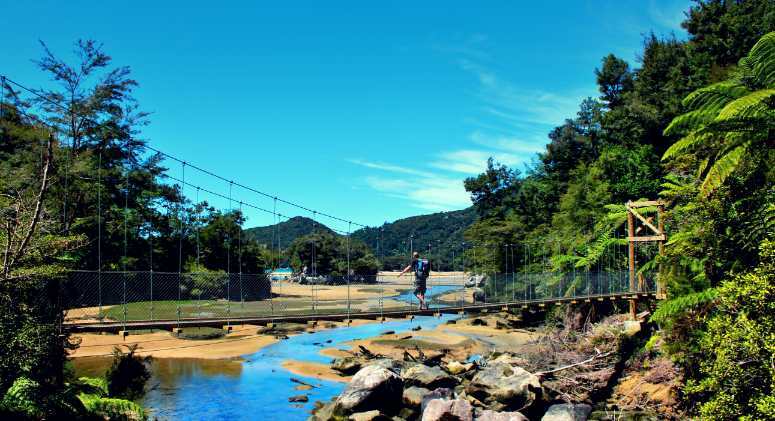 Abel Tasman Coast Track: Classed as one of the nine 'New Zealand Great Walks', blessed with a mild climate, golden beaches, remarkable rock formations, and lush coastal native bush, the 51 km Abel Tasman Coast Track has it all. The Abel Tasman Coast Track is located within the Abel Tasman National Park in New Zealand's South Island. It extends from Marahau in the south to Wainui in the north, with many side tracks. The idyllic Abel Tasman Coastal Track links a myriad of crescent-shaped coves of glittering golden sand, washed by the crystal-clear waters of Tasman Bay. Wander along beaches that constantly invite you in for a swim and hike around headlands with commanding views. Fur seals are found along the coast of the park, particularly on the headlands at Separation Point and near Tonga Island. Little blue penguins feed at sea during the day and return to the park's islands at night. 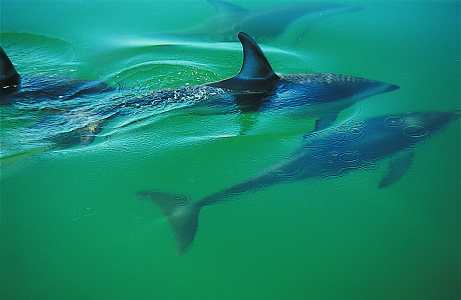 Common dolphins are often seen playing in the waves. 2 nights' accommodation at two different beachfront lodges, (4 to 4.5 star), the only lodge accommodation option right on the beach in the heart of Abel Tasman National Park. Each preserving a different aspect of European settlement in the area. Enjoy a wilderness experience without giving up modern conveniences. 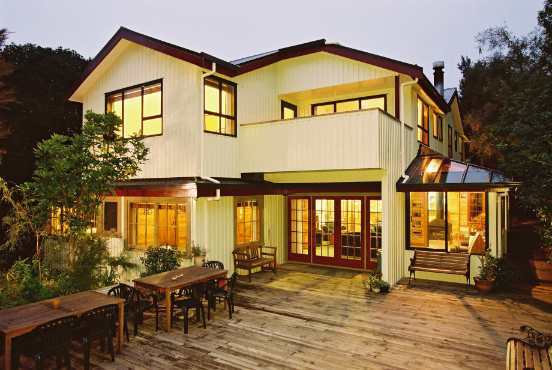 One of only two Beachfront Lodges within the boundaries of Abel Tasman National Park. With no road access you will be transferred to the accommodation by water cruise. Here you can spend more time in the stunning National Park. 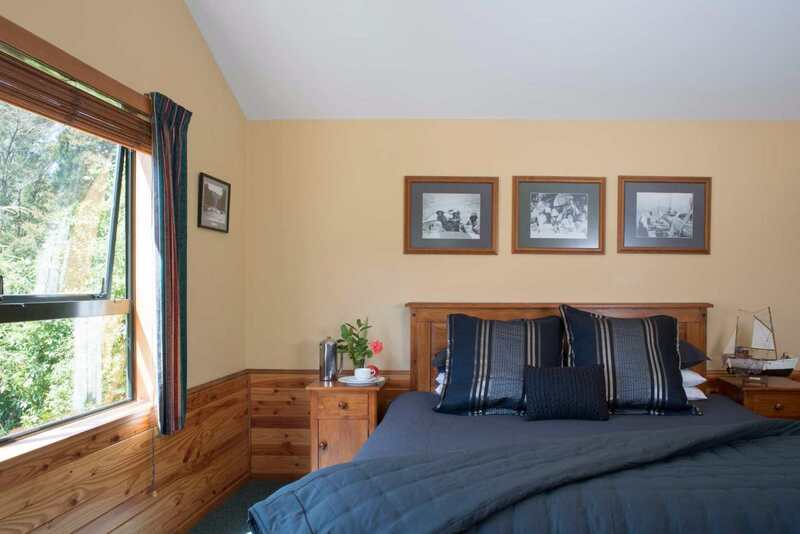 No need to leave the Park to enjoy modern comforts with ensuite accommodation. After a day of walking, return to your own room and have a hot shower. Over a fine 3-course dinner, swap stories with fellow travellers, be lulled to sleep by the sound of waves lapping against golden sands then wake to breakfast overlooking the gardens by the sea with the day planned to suit your interests, fitness levels, tides and local conditions. Meadowbank Homestead – Awaroa is a replica of the Wilson family's ancestral home, built on the 'finest site in the bay' in 1884. 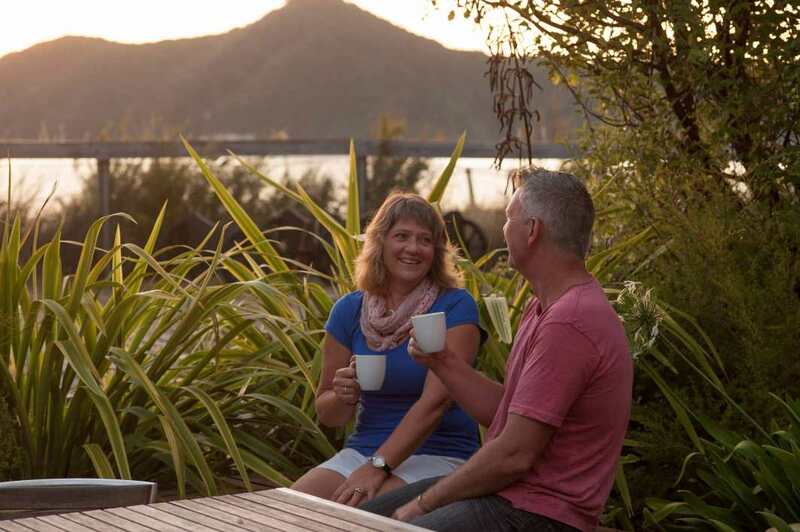 Sitting just above the tideline on the edge of a golden beach, Torrent Bay Lodge retains all the charm of a relaxing holiday home, far away from the hustle and bustle of town.There is no road access to this popular bay in the heart of Abel Tasman National Park. It can only be reached by boat or by walking along the coastal track. After your day walking in the National Park, enjoy a welcome that includes hot and cold drinks with delicious snacks while you wait for your hosts to prepare your evening meal. You can laze on the sun deck or feel the sand between your toes on the beach in front of the lodge. In winter, cosy up by our open fire. The in-house bar serves a selection of local beers and wines. After dinner, stay up late gazing at the stars or retire to your comfortable bed and let the waves soothe you to sleep. Have a morning sleep-in, or watch the sun rise as you soak up the beauty and tranquility of the park to yourself, long before the day visitors arrive. Then we serve up a home-cooked kiwi breakfast with a delicious selection of wholesome cereal, toast and freshly brewed coffee. Morning and Afternoon tea snacks are will be provided on the track each day. Dinner Enjoy gourmet meals (three course) at beachfront lodges. - Two nights accommodation with beachfront lodges full of characters. Enjoy a wilderness experience without giving up modern conveniences. - Great New Zealand food and wine. 2 breakfasts, 3 lunches and 2 dinners plus morning teas and afternoon teas. Enjoy gourmet dinner (three course) . 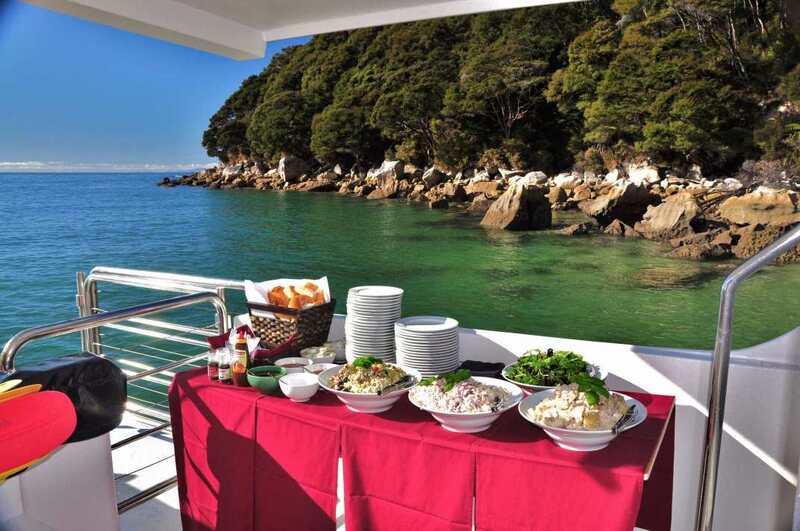 - Water cruise from Kaiteriteri at the southern tip of the Park, north to Totaranui to explore the contours of the spectacular Abel Tasman coastline. 7 km, approx. 2.5 hours walking (Easy Grade). All aboard the water cruise! As we cruise from Kaiteriteri at the southern tip of the Park, north to Totaranui we echo the contours of the spectacular Abel Tasman coastline. Relax on the upper or lower viewing decks and enjoy a hot drink from the cafe. 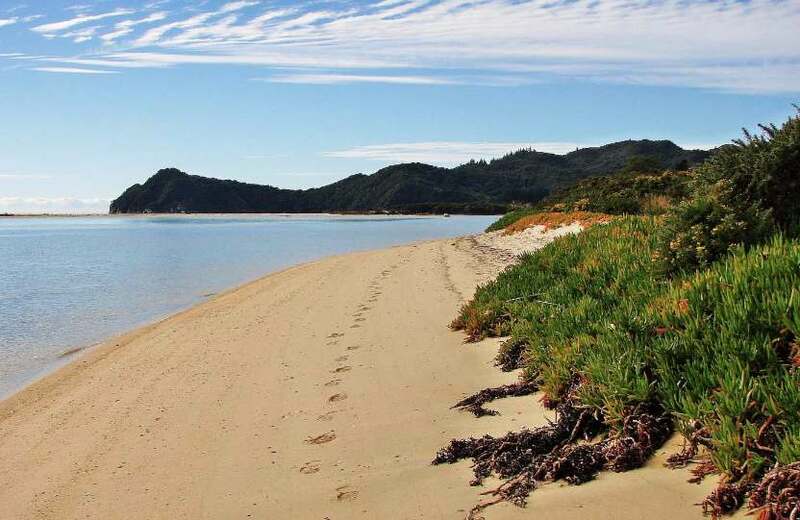 From Totaranui, walk through mature beech and rata forests, and along secluded golden beaches to the breathtaking expanse of the Awaroa inlet. 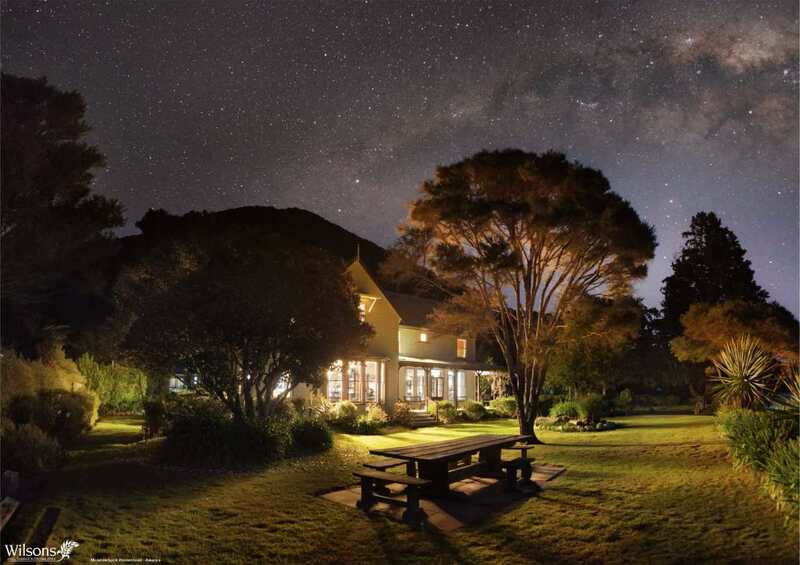 Here, a warm kiwi welcome awaits you at Meadowbank Homestead - Awaroa, serviced with pre-dinner drinks and fine food. 10.15am to 11.00am collection from Nelson Accommodation on all trips except Wednesday departure. Earlier pickup for Wednesday departure tours at 7.15am-8:00am as this is a northbound trip and it is important to get kayakers on the water early. Later starts can be arranged on request. NOTE: The direction of this trip may be reversed on some departures with earlier pick up in Nelson (7.15 - 7.40 am). 10:45am pick up from Nelson Airport - allowing guests to fly in on the morning. 5 km, approx. 2 hours walking (EasyGrade); 10 km, 4 hours sea kayaking. 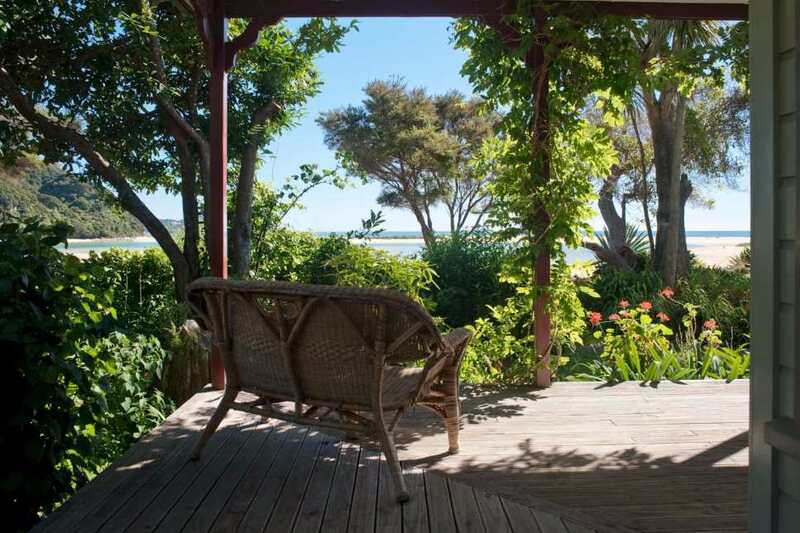 Wake to breakfast overlooking the gardens of Meadowbank Homestead, watching the movement of the tides over golden sands. Walk with your guide to the golden expanse of Onetahuti Beach then paddle to Torrent Bay, through Tonga Island Marine Reserve and exploring hidden inlets along the way. Depart Awaroa at around 9.30 amfor the scenic walk over the Tonga Saddle to Onetahuti. Here, your guide will settle you into your kayaks with full training and safety brief. Don’t worry, you won’t leave the beach until your guide is satisfied you can safely negotiate the coast in your kayak. (If you are a travelling on your own, your Guide will find a suitable paddling partner for you). Weather permitting, there’s the opportunity to visit the Seal Colony on Tonga Island where New Zealand fur seals breed. It’s often possible to spot new-born pups here in December and January. Enjoy the sensation of paddling through the clear turquoise waters of the Park as we cruise past Tonga Quarry and the Tonga Arches, where your guide will explain the history of this granite area, pointing out some of the unusual natural features and relics from the historic quarry. Midday, stop for lunch at sheltered Bark Bay, where you can take time out to explore, swim or relax on the golden sand. After lunch, we continue our paddle, beach hopping along the coast with picture-postcard views, including the Falls River and Frenchman’s Bay. At around 4.30 pm paddle into Torrent Bay to be welcomed with refreshments and a hot shower in your ensuite room. 12 km, 4.5 hours sea kayaking (Moderate Grade). Wake up to morning light on the golden sands of Torrent Bay and perhaps a coffee on the deck before breakfast. Depart Torrent Bay Lodge at about 9.30 am. Leave Torrent Bay by kayak and glide southwards along the coast, to discover the pristine bays and beaches named by French Explorer, Dumont D'urville in 1827. 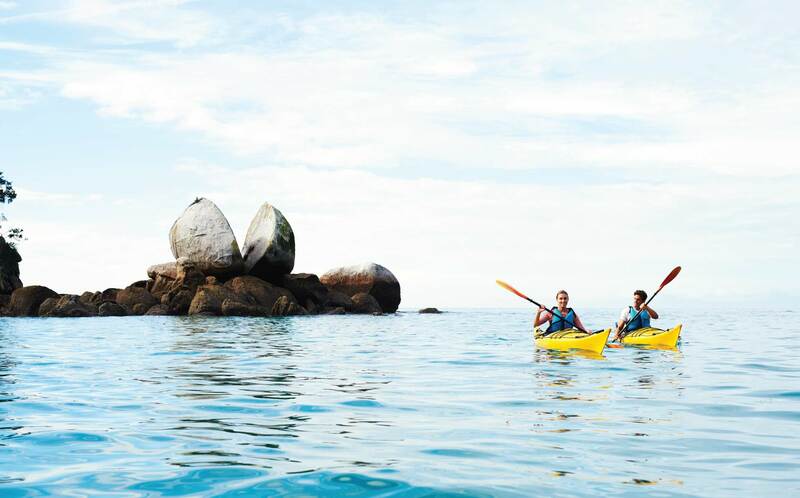 Paddle the idyllic waters of Te Pukatea Bay. In the sheltered Astrolabe Roadstead, paddle along the picturesque coast of Adele Island, now a predator-free sanctuary ringing with birdsong. If the wind is with you, your guide will help you hoist a specially designed sail so you can ride the sea breeze. Stop for lunch and a rest at any one of the bays, before we continue your journey through azure waters to the famous Kaiteriteri beach, where your driver will be waiting to meet you for the return journey to Nelson (arrive at 5.30 - 6.00 pm). This itinerary is provided as an example only – prevailing conditions and local arrangements may cause variation. - 2 nights' beachfront lodge accommodation on a twin share basis (single supplement available at additional expenses). 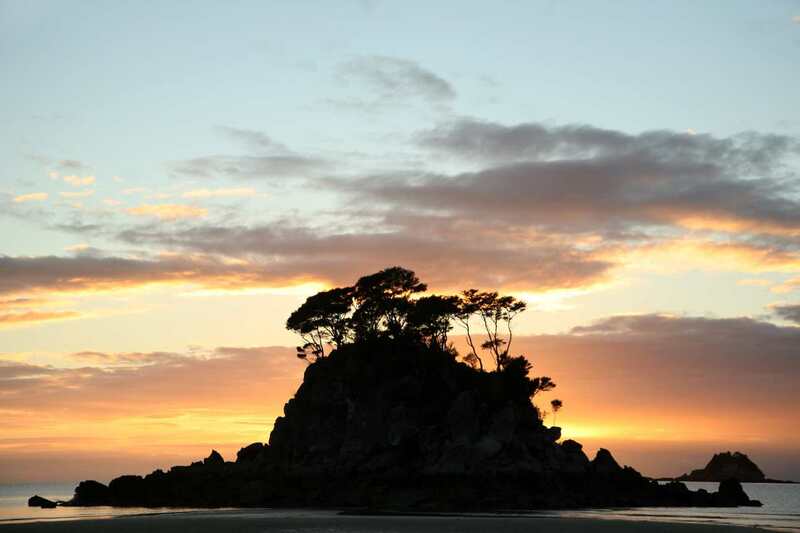 With mild climate and sea breezes, the Abel Tasman National Park displays its stunning beauty any time of year. Summer months are the most popular months for spending time on the golden beaches, book ahead to ensure your walking holiday. Autumn is cooler in the evenings. As seasonal berries ripen, the forest comes alive with birdsong. 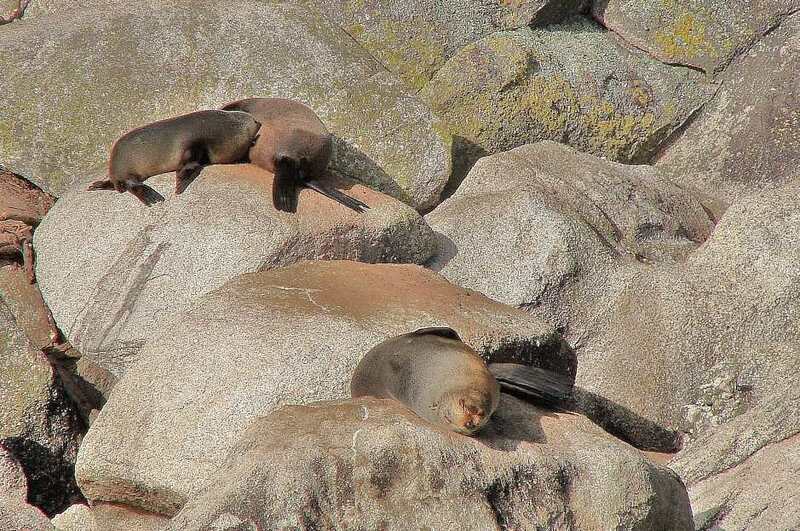 Sea birds flock and maturing New Zealand fur seal pups are out exploring for new territories. Winter sunshine warms clear, crisp days. It’s ideal for photography as you can get amazing images with no sea breeze to ruffle the crystal water, and no heat haze to soften the vistas. Springcomes and the forest wakes. Native flowers are small and subtle, rewarding the careful observer with surprising variety and perfumes. Temperatures are ideal for walking and kayaking. The walk and kayak tour with Onlyluxe was everything I could have hoped for. It was a great way to explore and see the Abel Tasman Coast. Our guides were knowledgeable, friendly and worked tirelessly to ensure we were well cared for. The group size was perfect. The equipment provided was well maintained and of top quality. The balance of activities was good and not to challenging that we could not finish each stage . I highly recommend this trip.